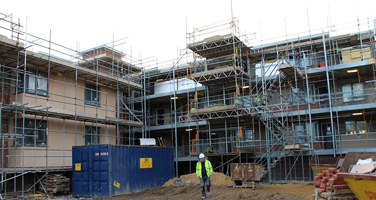 Scaffolding is necessary for any major building works; we can supply scaffolding that is suitable for any job, regardless of size or specific requirements. Our team of scaffolding experts will be able to provide you with a solution that will allow your workers to get the job done effectively and safely. Our scaffolding structures are high quality and capable of working in any construction environment, easily delivering on all of the requirements placed on it. Our substantial experience when it comes to scaffolding installations allows us to ensure the safety and reliability our customers should expect. Also, this allows us to provide the best customer care when delivering a scaffolding solution to you – we aim to meet and exceed the expectations of our customers. Furthermore, we completely understand that cost is an important factor for our customers; hence we regularly check the pricing of our competitors to provide the best price for you. Our dedication to a great service with our scaffolding services is backed up by delivery to any mainland UK address. Therefore, our quality scaffolding is not too far away from where you need it. Convenience shouldn’t be compromised when receiving a product that is both cost effective and reliable. There are many reasons to choose us for your next scaffolding installation, our scaffolders are highly efficient and deliver on all specifications whilst providing a friendly service. We are completely insured for any scaffolding works therefore you will be content knowing that your property is safe should the worst happen, however this is extremely unlikely but the assurance is there should you need it. Most importantly, you should choose our scaffolding for the high quality product we provide alongside our effective service that we pride ourselves on. 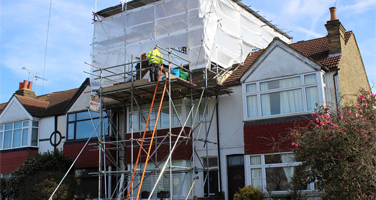 Unlike other scaffolding companies, we fully understand that presentation is important; we will clean the site following a day’s work and strive to leave your property in the condition it was in before we arrived. 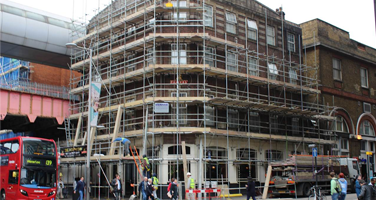 Taking this into account, if you are interested in a trustworthy and reliable scaffolding company to handle your needs, don’t hesitate to give us a call on 020 8979 2101 and we will be more than happy to help you.